479. Gasometer. 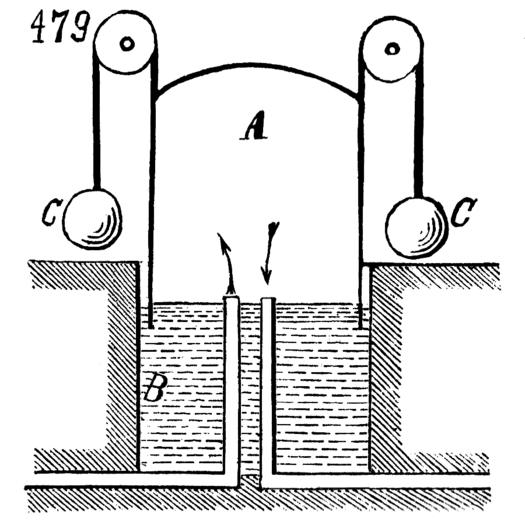 The open-bottomed vessel, A, is arranged in the tank, B, of water, and partly counterbalanced by weights, C, C. Gas enters the gasometer by one and leaves it by the other of the two pipes inserted through the bottom of the tank. As gas enters, vessel, A, rises, and vice versa. The pressure is regulated by adding to or reducing the weights, C, C.